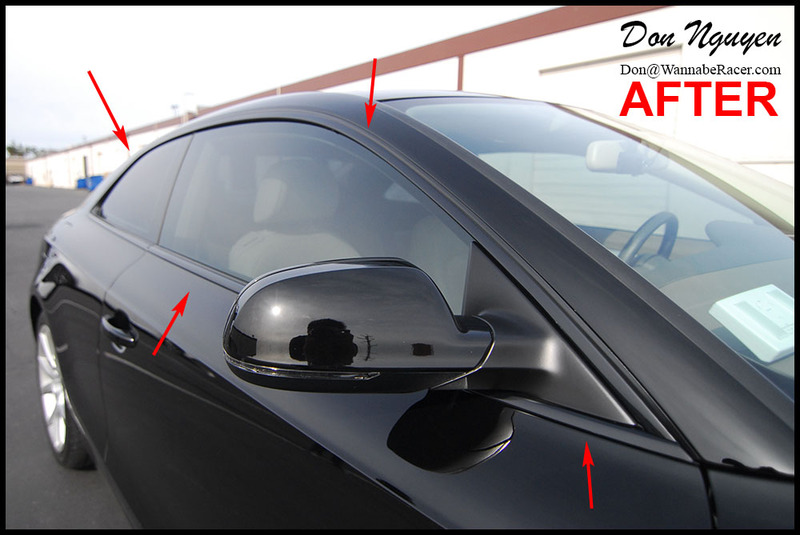 Doing a simple modification such as blacking out the chrome/brushed aluminum window trim on a car can make a world of a difference in the way it looks. 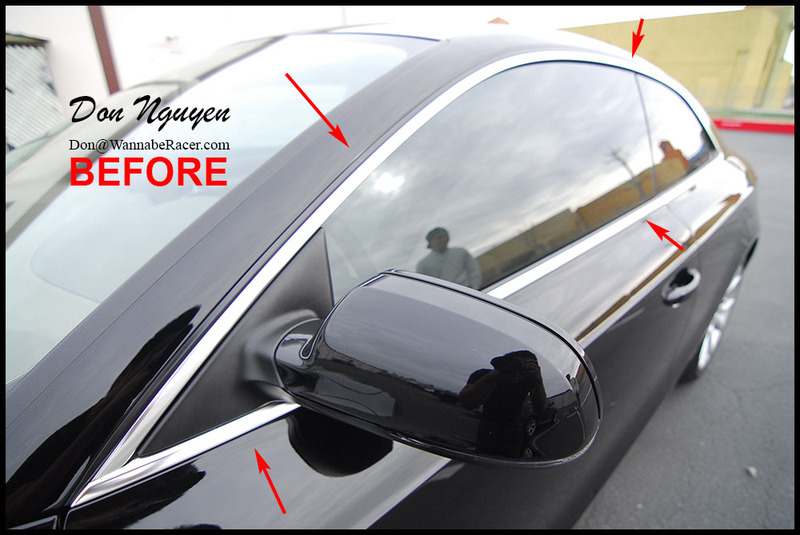 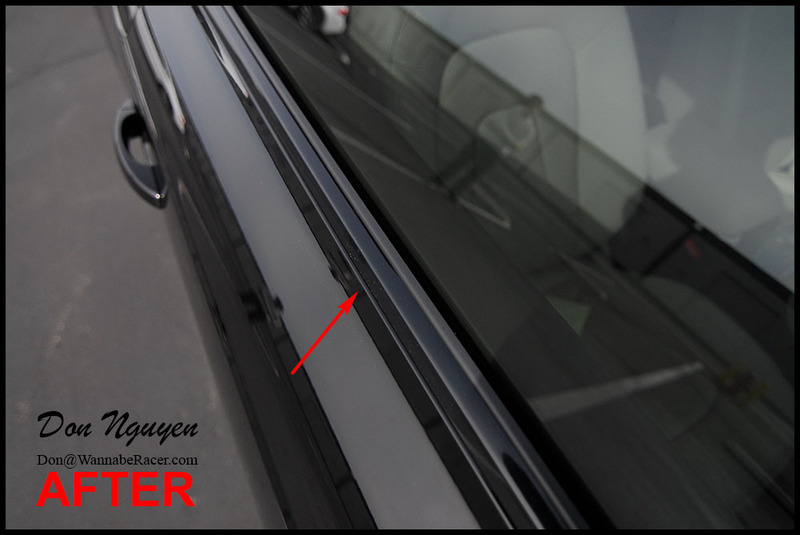 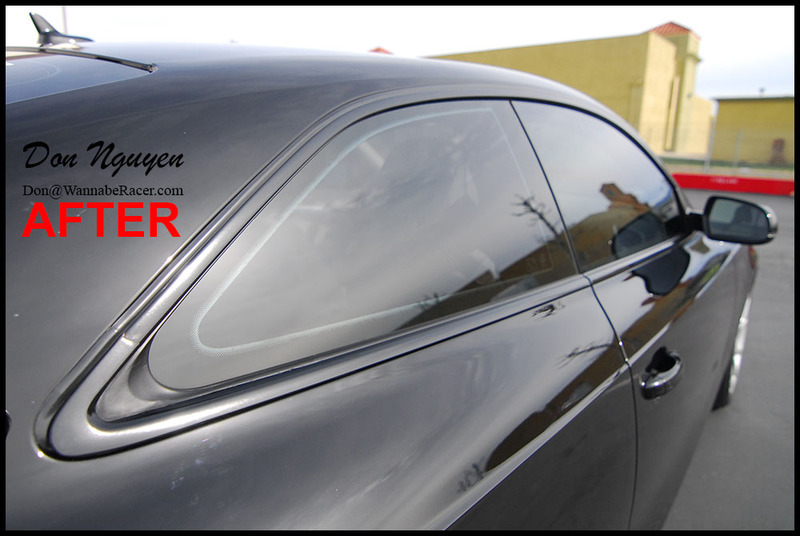 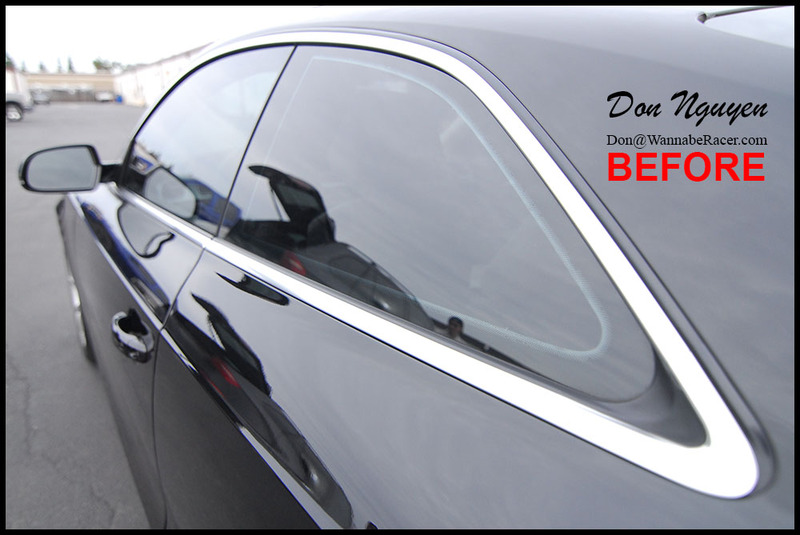 Blacking out the chrome window trim makes the car look both sportier and also cleans up the lines of the car. 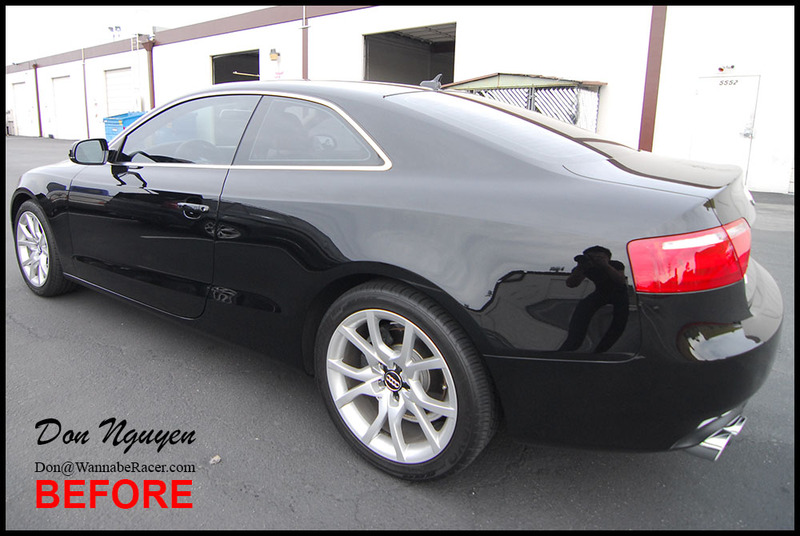 Most people say black roofs look the best on white cars, but black cars look the best with their chrome pieces blacked out. 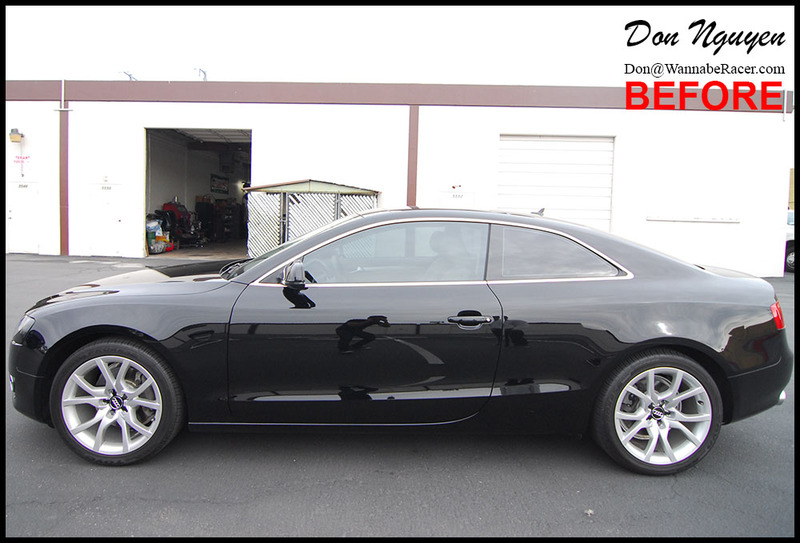 For this black Audi S5 coupe, I blacked out the chrome window trim with my gloss black vinyl material. 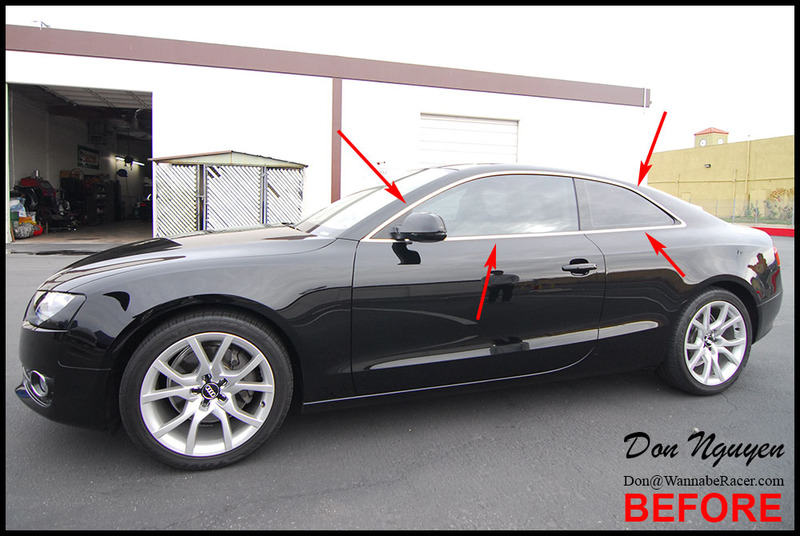 The owner of this car was from Newport Beach and came out to me in Anaheim Hills/Orange County to have the vinyl car wrap work done.